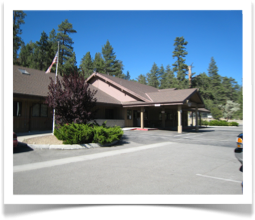 The Big Bear Valley Senior Center is located at 42651 Big Bear Blvd., between Stanfield Cutoff and Division, and is open Monday through Friday from 9:00 AM to 4:00 PM. 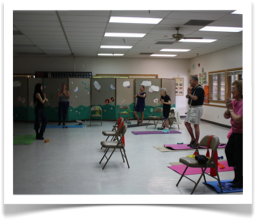 The Center offers a multitude of programs, activities and services for seniors 50 and above. 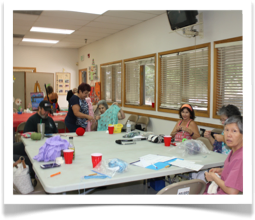 Senior Citizens Of Big Bear Valley (SCOBBV) general membership meetings are held the second Monday of each month at 1:00 PM. 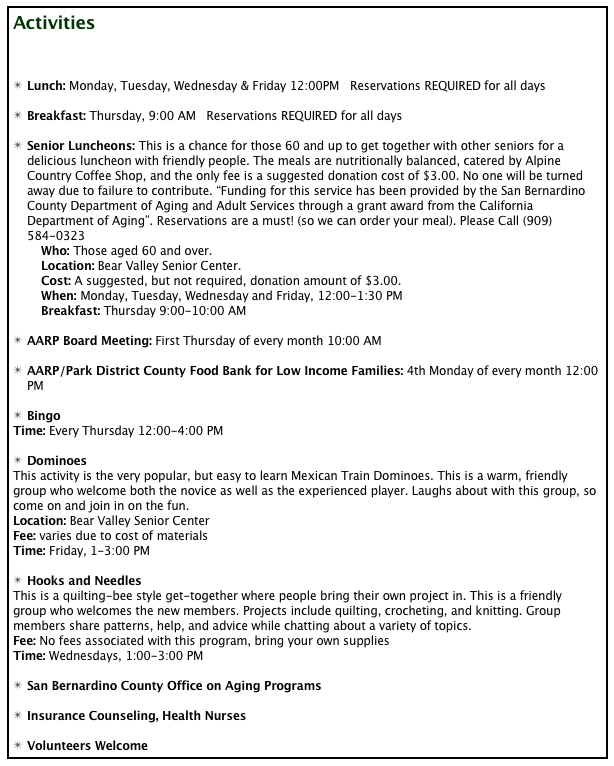 The Senior Citizens of Big Bear Valley advises the Park District on the needs of the Valley’s Senior Citizens. 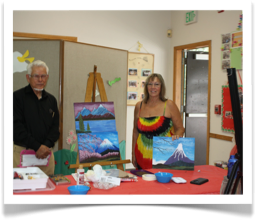 Annual membership dues are $10.00 per person and entitles the member to many enjoyable activities. 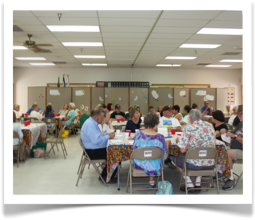 There are cooking classes, BINGO, Bridge and Poker games, lunches and Saturday Socials, Ceramics for Seniors, Painting, Tole Painting, Quilting, and even newly released DVD movie matinees. 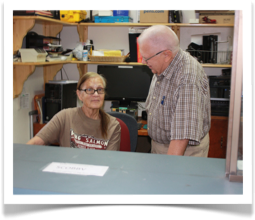 The Top of the Hill Gang is the SCOBBV travel club with trips including Laughlin, Branson, San Manuel, the Queen Mary, and many, many more. 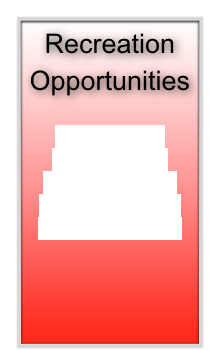 (909) 584-0323 or Park and Rec. (909) 866-9700.